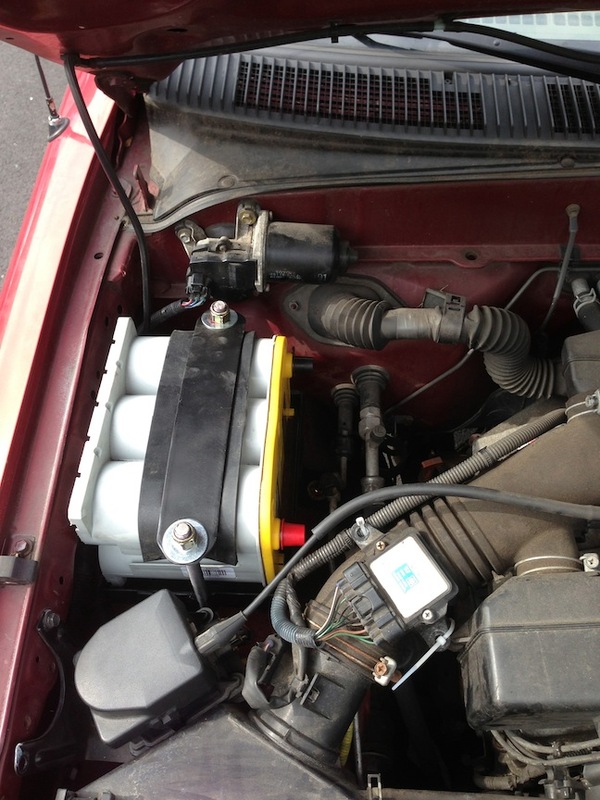 Installing an auxiliary battery in a truck can be useful for several reasons. We plan on running an inverter from the aux battery so we have DC power outlets avaliable for a laptop, fridge, interior lighting, charging stations, and what ever else we want to plug in. The aux battery will be wired in such a way where it will charge while the truck is running, but when the truck is off and we are using the aux battery it will not effect the starter battery. Before any wiring happens you need to find a place for the aux battery. Ideally it will be under the hood, but some vehicles will not allow any room for this so they need to find other locations. 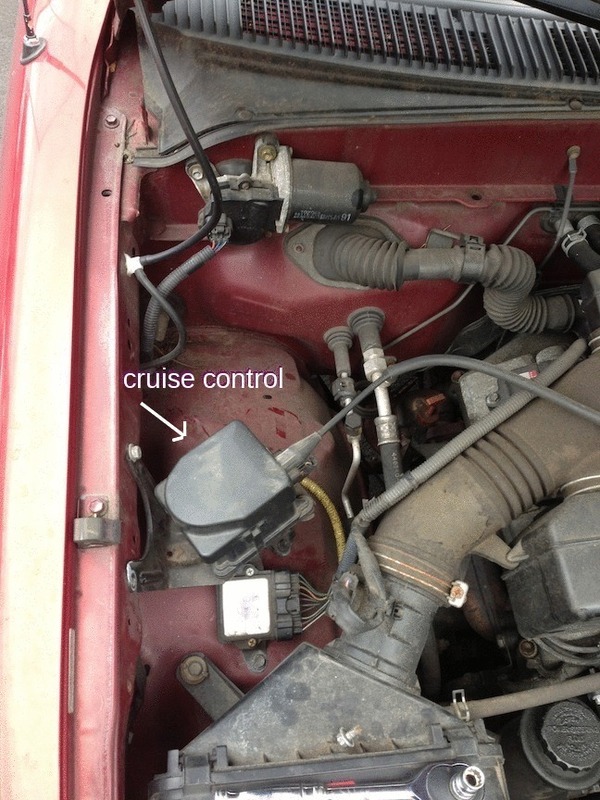 Luckily for our Toyota I was able to move the the cruise control out of the way which leaves just enough room for my battery. Once I moved that stupid thing out of my way I started fabricating the battery tray from some scraps of steel I found in the shop. The welding went smooth and this thing appears to be pretty solid. This is the first time I’ve done one of these, and I’m pretty happy with how it turned out. Once it got spray painted black it looked legit. 5 more days to go, you all must be getting really excited. Hope to see you all somewhere on the western front. What up Jed, Yea its getting close, we will probably depart the east coast during the first week of sept. We are headed to Colorado first, then the rest is up in the air. Would love to meet up and discuss all this. Where are you guys these days?